Making Cards My Style is a short video on my journey through designing a card and the reasons behind my style. It came about because of two questions I was asked about why I did things this way and so the best way to answer any question is with a video. This way maybe one that you would like to try for yourself and there is nothing mystical about it. But it will help you to make use of the full area of your card front. 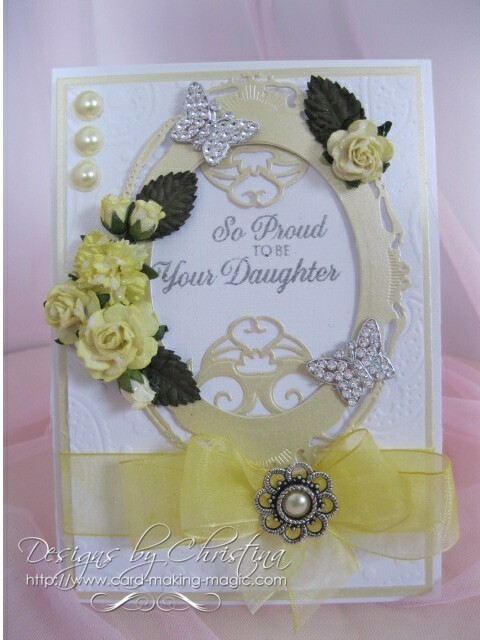 Every card maker I know strives to make the card that will stand out from the crowd and I am sure that you are no different. We all want to give the card that is made with love but in a professional style that will look good no matter how much it is handled. Now I am not saying that my way is the way for everybody to go ... that would be your own individual choice. All I am saying is that this may be a way for you to consider when it comes to putting your own designs together ... especially if you are new to card making. Why do you add the hinge to your cards? Why do you line the inside of your cards? So why not make yourself comfortable ... with a cuppa ... and relax as you watch the tutorial, it is just over three minutes that's all. Hopefully I have answered the two questions completely and maybe it will inspire you to have a go at this idea and see what you can come up with for your designs. You will find a daily card on my Blog Flowers, Ribbons and Pearls with all the links to the suppliers of the products that I use from flowers to glitters. Adding the lining also brings the card together and gives a more polished finish. 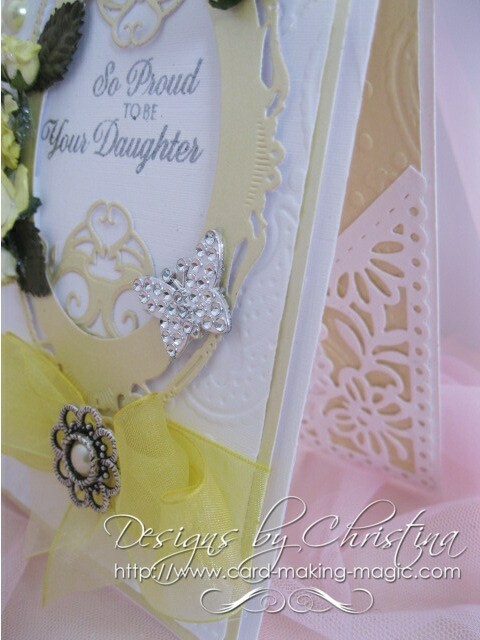 If you prefer to make smaller cards then Making A Card _Inside and Out will help you with that. There are several tutorials on making boxes of various sizes to go with which ever card you make. The whole website is designed to help you deal with whatever area you can think of. And is especially designed for those new to this hobby and need a little help along the way.